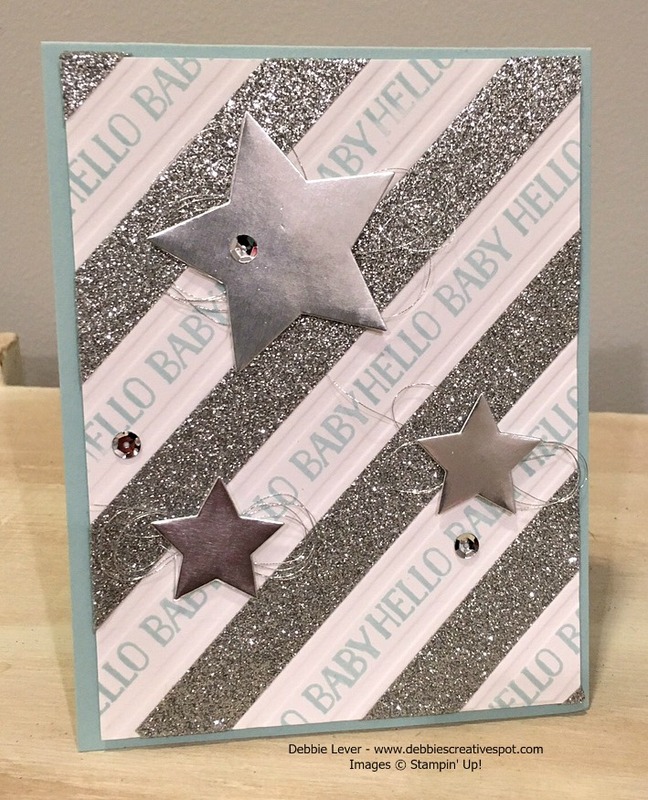 Now this sure is a sparkly, shiny card for a new baby! 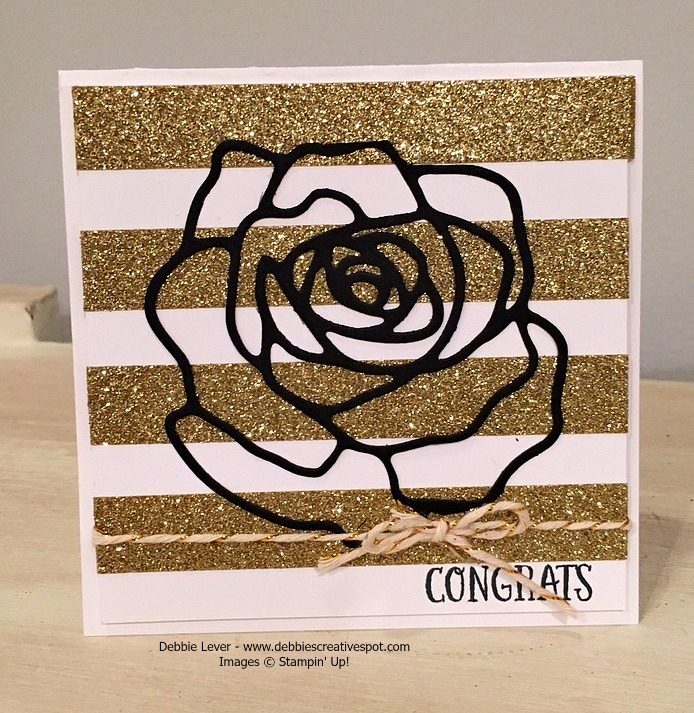 I must admit I wasn't sure what I would do with the new Metallics Glitter Tape - a NEW free Sale - A - Bration pick with a qualifying order but after staring at it for a bit, I came up with an idea in my head and I think it turned out pretty good. 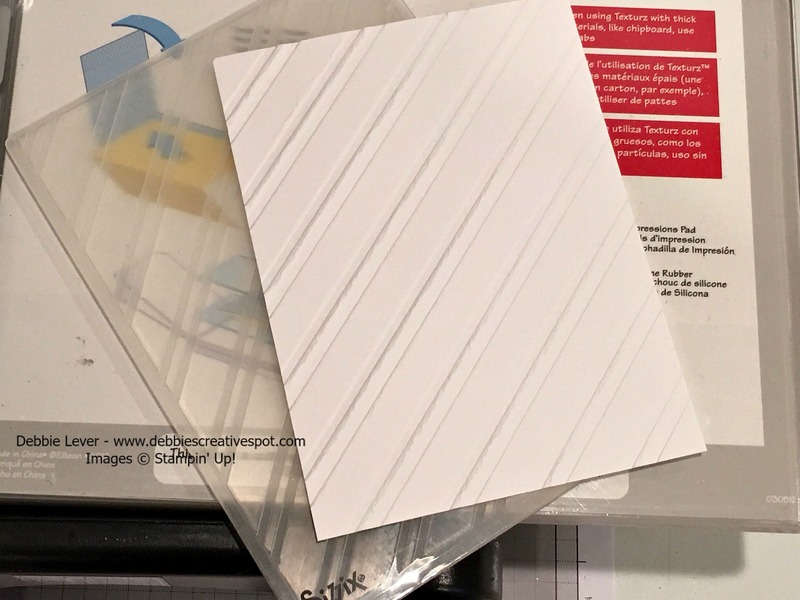 Are you wondering how I got the tape lined up so nicely as well as the words? Well here is how I did it! 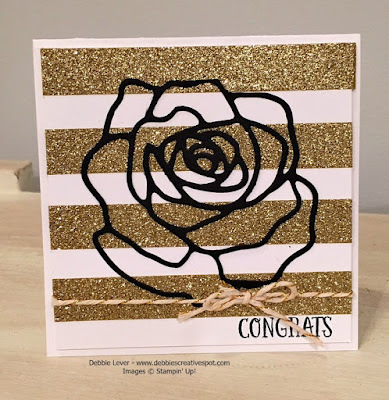 I embossed my cardstock using the Stylish Stripes Textured Impressions Embossing Folder by running it through my Big Shot. Now I have this pattern that is perfect for laying the Glitter Tape down and for stamping! 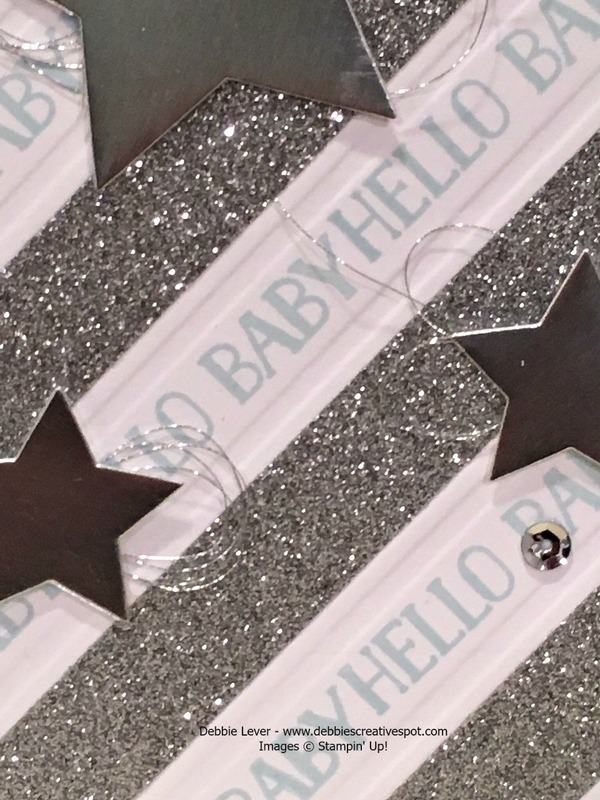 The stars needed a little something behind them so I adhered Silver Metallic Thread. 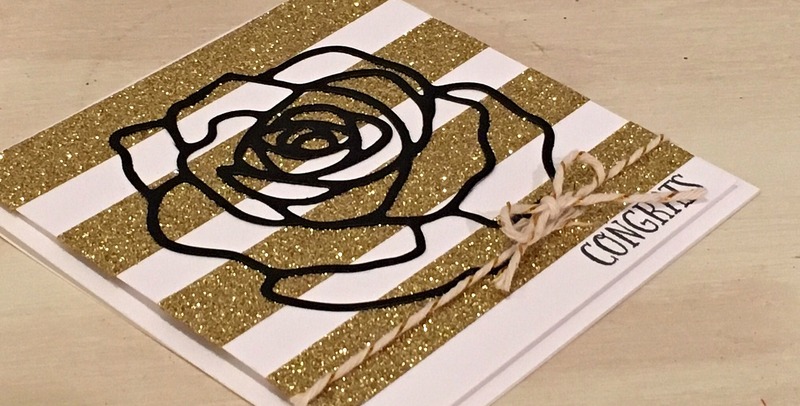 Sequins always make a card look spectacular. 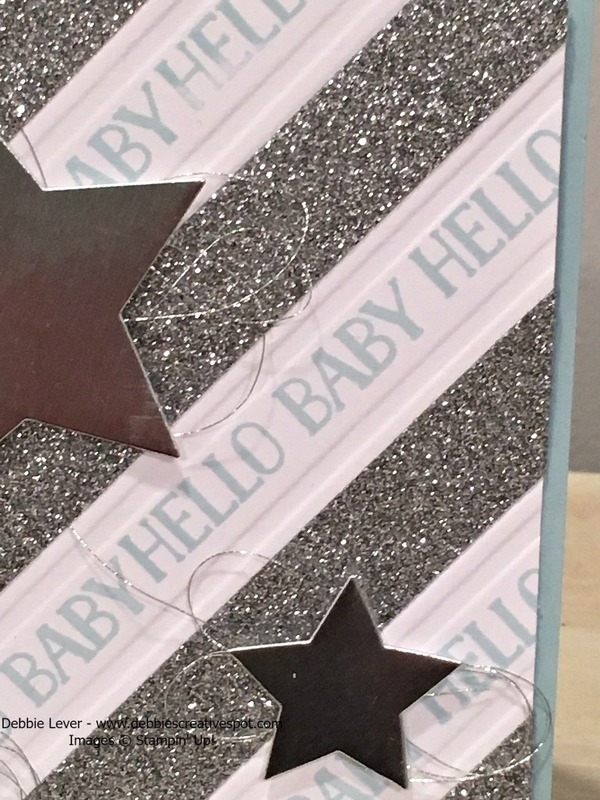 I used silver from the Metallics Sequins Assortment. I used the Tin of Cards stamp set to stamp Hello Baby in Soft Sky ink.